While the dust settles from yesterday's historic Republican victory, it won't take a minute for attention to start to turn toward 2012. Sarah Palin greets supporters during a rally. The end of the midterms marks the unofficial start of the presidential race, and by the looks of some Republicans, they're already on their way. Several potential GOP contenders have been laying the groundwork. They're visiting the key early voting states of Iowa and New Hampshire, courting donors, building up strong fundraising operations and testing messages. Some of these hopefuls include: former Massachusetts Gov. Mitt Romney, Minnesota Gov. Tim Pawlenty, Baptist minister and former Arkansas Gov. Mike Huckabee, former House Speaker Newt Gingrich, Louisiana Gov. Bobby Jindal, and of course former Alaska Gov. Sarah Palin who recently proclaimed, "We can see 2012 from our house." And what about President Obama? After his party took a real beating, the president has two years to fix what went wrong yesterday and secure a second term. The biggest challenges for the president will be fixing the economy and rebuilding the coalition of voters that put him in the White House in 2008. The president carried Independents two years ago, but they've since abandoned the Democrats. Big time. If the economy doesn't turn around and the jobs don't come back, it could be a real uphill battle for re-election. A recent Associated Press/Knowledge Networks Poll suggests 47 percent of Democrats say President Obama should face a primary challenge for the nomination. In the meantime, enjoy what will surely be a short break from the posturing, speeches, polls, debates, fundraising, mudslinging and on and on. Jack, I really don't care anymore. As long as these two parties remain in power, we will have the same old, same old. Same partisan bickering, nasty campaign ads, ugly rhetoric… Hardworking Americans get fooled by the mirage that either party can "fix" the country's problems. Sick of it all. Shame on you, Cafferty, for even bringing this up just a day after such a trying election period ends. The wounds are still fresh and you are already getting started on creating new ones. Let's allow voters to heal from the onslaught they just endured, allow our newly elected officials to dig into their roles and have everyone experience some positive impact from the changes before contemplating the next challenge. "Need a break, coach!" Please, no more for a while. Of course, it's time to start in on the 2012 elections. Unfortunately, if the Republicans can't remove Sarah Palin from the list of contenders, we will not really have a true race for the presidency. Obama would win hands down and nothing we do will mean much of anything. I actually think the 2012 presidential race began for the Republicans one second after President Obama was elected. They have been in constant campaign mode ever since. This is one of the reasons nothing is getting done in this country. Great, all the losers from the last election again. Real exciting. This is just like the TV show "Lost." Nothing ever happens but people are still excited for the next episode. The day after the election, and you are already lining us up for the next one. Geesh, why don't you just hammer nine inch nails into my eyes? Please don't start already.6 months of 'Reality TV' style commercials is not appealing,especially since we are 2 years away from elections.Also,my DVD collection is not big enough to eliminate the only possible way to avoid those commercials. I was glad to see the changes in the House & Senate but I'll wait and see what they accomplish before reaching a conclusion. But of one thing I am certain, Obama must go in 2012 or before. I have been "ready" for two years. I have my DVR set to record my favorite TV programs so I can skip the commercials, my recycle container has been positioned next to the mail box for the political propaganda, caller ID to ignore robo-calls and my favorites set on the internet so I can research the candidates and make my own informed choice. Don't worry Jack, I'll still watch you and respond to your questions although I think some days, you need to switch to De-Caf. No! Good grief, please allow all beleagured voters a good rest before we have to listen to more negative ads, campaigns and all that goes along with any election. Ready to have it over and done, so the people of this country can find some real leadership on their needs. No. I'm ready for the republicans to prove first that they can get this country working again. And by working, I mean jobs with a livable wage, ie, support a family, buy a home, a car, extra money to spend without taking a out, a second or third on your home. What America said last night is, it's solely about jobs. I think that there will be buyers remorse in about a year or so, if nothing is getting done. If nothing gets done we may see the republicans or the democrats getting kicked out of the senate. It seems to me that the rust belt went republican because, they're unsure if they can do a high tech job, which takes continuing education and training. Wind, solar, battery technology, the green jobs takes a bit of training. And it's very possible to teach an old dog new tricks. I'm NOT – but what choice do we have with the 24/7 news channels needing something to whip the masses up and get those ratings up. I'm all for changing the term limits of the President to one 6 year term. That way – just MAYBE we could actually get 6 years of work out of them. First we'll see the TP'ers fight the health care battle all over again with even more anger and extremism. Then we'll see the GOP and TP devour each other to see who gets to run against Obama in 2012. They will have to own the problems for the next 2 years and we already know they have only two arrows in their quiver: tax cuts for the rich, and fighting the Culture War to stoke fear and anger in the electorate. As for me, my nervous system can't take a repeat of the last 2 years of The Party of NO, so I'll be limiting how much news I consume. Jack, I'm still waiting for this president to live up to the promises of 2 years ago. Jack, please, NO! We just need one of these Presidents who has already been elected to do something positive before running for reelection. Give the voters a break! Jack,after listening to the President today,it is very evident that he still doesn't get it!Yes,I am ready for the Presidential campaign,and a new President!!!!!!! The question isn't whether I am ready for the 2012 election, which I am not. I have to be ready because the news media will not leave us rest. There will be monthly polls on how the new Congress is progressing and how it will affect the 2012 election. Every story will be compared to how it will affect the next election. If there is another terrorist scare, was it used to gain votes and increased poll ratings? Everything will be amplified and Congress will continue to play politics, being controlled by lobbyist and special interest groups and pointing the finger at each other like a bunch of kids. If there's a good, strong Socialist running, I'll back him/her. Otherwise, I'm done with the Democrats - my party all my life - because they wimped out. Instead of immediate widespread change, pulling the troops out of Iraq and Afghanistan, and implementing UNIVERSAL healthcare instead of giving it into the hands of insurance companies who are responsible for the terrible condition of medical care in this country to begin with - they turned tail and offered watered down solutions. And I'll never back a republican because they don't represent the people - they represent big businss and wealth. The Tea Party is a bad joke. So count me out of the next one. I'll wait for the revolution. Count me out. I'll wait for the revolution. I'm not to be honest. To start talking about 2012 to me would be utterly irresponsible. The country has far too many critical economic woes to work on immediately before we can start talking about candidate possibilities. We need to get off the election rhetoric now and get to work. Chris Christe and Paul Ryan as VP. tax less, and create jobs...not fake jobs and rhetoric. Just as soon move to Canada as sit through the 2012 Presidential race. We know Obama will have a fight with Hillary and we know that the Republicans will field Snow White and the Seven Dwarves. What we don't know is whether the Republicans will get a moderate candidate and not give Obama the scare factor he would use against the Republicans. Fasten your seatbeats, it's gonna be a rough ride. A Palin/O'Donnell ticket has my vote in the primary. We are ready over here, Jack. pieces is more befitting of Americans as we see it. Americans will hack each other to pieces and even cut off their own noses in the process as long as they think its hurting the other fellow. As if the results are not going to have an effect on them also. seen from abroad , Americans vote for zealots disguised as some sort of "tea party" and thinking that Sarah Palin can lead a country and vote Republicans who nearly brought American to the brink, right back in to finish off the American middle class? order to watch the other side drown. Americans are a peculiar bunch indeed. I guess we'll keep watching the antics from abroad . (We actually WANT each other to have health care, here). So ready that I plan on buying a lottery ticket and if I win I'll purchase an island, form my own country and the words Republican and Democrat will be banned for all time. With no one on the scene that I would vote for... it's a bit early for me. If the 2012 campaign is anything like the 2010 I am not ready for the carping, distortion, lies and the self-interests of those in office and those trying to get into office. When did it end from 08? Not at all. Tired of hearing all about how wrong government is. Let it rest for a while. Bring it on Jack and the sooner the better. It's my hope that Palin gets the nomination for the party without a plan and Hillary for the Dems so we can see a real blood bath in the debates. Palin says, "Man Up" when she quit her job to make millions and Hillary has a great deal to offer and especially at this time. I am totally ready.....to watch the Tea Party and Republicans self destruct. Yes, we must finish the job we started yesterday. I am not ready Jack, I am a Republican and we don't have a canidate. We need some one this time that can run the ball all the way into the endzone! The 2012 Campaign started right after the election results were announced November 2008.
no. I am sick of it all. Dumb voters and politicians who only care about one thing, getting re-elected. Re-electing a worthless asleep at the switch senate leader like reid proves the total insanity of the voter. Reid is a multi millionaire investor who cares nothing about the worknig class. Obama is a corporotist who will do nothing for the working class other than talk. The politicians got the messge that the voters will buy anything. If you want jobs you must vote in politicians who will cut off all corporate welfare, eliminate all tax breaks for corporations that hire illegals, or outsource jobs. Bernanke and the fed must stop giving out 0% loans to banksters, and start giving out 0% loans to college students, foreclosed homeowners, and small businesses who sign agreements to only hire legal american citizens. About as ready as I was for my last colonoscopy. Yes I am. If the midterms did not wake up democrats I do not know what will. I will say it again the winers of 2012 will be the party that does the best job of doing what the people want and communicating that fact to the people clearly. Also Washington should now realize the people are getting smarter and have long term memories. If you don't preform well you will be out. I would implore CNN to when airing a story to first show the way those individuals in the congress and senate voted on the issue. With the billions of dollars that are going to flood into the process in the next two years, it is time for so called real news organizations to step up and report the news factually and unbiased. We want all information that pertains to the story not just your spin. So please if we are gong to start the race for 2012 now give us the facts and not the spin. Give the American people a chance to make an informed decisions on who should represent them and how their government should be run. The more we get the facts the less negative ads we will see. David Gergen has it right. No one will elect Sarah Palin president, but she is now a "kingmaker." What I do know, however is that if there is gridlock in the congress, Obama will look better and better the more he reaches over the aisle and is thumped by madhatters at the tea party. mail box for more campaign literature. No, I am not ready. It's really hard when the Supreme Court decides that large businesses are "people." They have the money and resources to start corrupting the fearful for their own personal agenda sooner than later. As a liberal, now I'm the one who thinks we need to take our country back. Don't they realize we could use a break. I'm ready to see the Democrats do some counter punching. The Republicans have been engaged in guerrilla warfare against Obama and the Dems for two years while the President and his party were busy trying to fix the messes the GOP caused the last time it was in power. It's time for the donkey to start kicking them where it hurts. I was ready for 2012 before the 2010 Midterm Elections. Once again the American people voted their pocketbooks without regard to the issues. Unless President Obama starts to feed main street instead of wall street 2012 will be another disaster, but with the Republicans in charge of the House, they will probably try to STARVE main street to win the 2012 election. Does our two party system ever accomplish anything except campaigning? I'm ready! The Liberal House Democrats remaining should make their life for the next 2 years about beating up on the Republicans. Show them how to be an even better party of NO!!! tampa, fl yes i am, i would like my representatives to pass legislation that would prohibit anyone holding office would have to resign to run for another office. we pay them not to do their job for 2 to 4 years while they are out full time drumming up bribes, oh, i mean campaign contributions. I rather have a root canal done. Make that three or four at once. I am so sick of hearing rhetoric about politicians and elections... Can we take a breather, and NOT talk about it until July 2012? PLEASE??!! Frankly, I think the whole electral system needs a major overhaul, both houses spend more time raising money for elections than doing anything for the good of the people; the whole thing is counter productive and one has to ask if it is also a massive conflict of interest, when one looks at where the money in some cases is coming from, ready for the next round, sorry no way, I am bored, and as for the negative selling and flat out lies from some members of both houses then it is time to reach for the remote and watch a good movie. Some of us are sick and tired how the American voters think and vote. This last elction result is very disgusting. I could never imagine that Republicans who supported Bush administration to wreck the country and perhaps the whole world could be voted back to takeover the house within a space of two years. It is sickening and the most sickening of all is to hear the media even mention Sarah Pelin's name as a candidate for 2012 Presidential election. Sarah Who? If Sarah Palin even wins the Republican nomination, i'll change my location to China because that is democracy at its worst. Good heavens, Jack! Can't you even give us ONE day before we have to start thinking about 2012? Only if the 1st proposals from any candidate are for term limits,public financing of campaigns, yearly mental acuity testing for all officeholders, and mandatory retirement at age 65. Barring that, I'll continue to get my reality from the Cartoon Network. Can't those considering campaigning to be President of the United States at least wait until after the New Year? It would be the one time where I wouldn't mind a politican dragging his, or her, feet. LETS GET IT ON! Using a sports metaphor Jack: This is going to be better then a Mohammad Ali vs. Joe Frazier heavyweight title bout. And we have front row seats. I can't wait until the first punch is thrown. Ready Jack. The Corporatists GOP 2012 campaign began in 2008 with a bogus “Take America Back” slogan. Our duty to eternal vigilance requires us to respond now. The tea in Boston Harbor was global corporate cargo and members of both Parties forsake our revolution against a King/Parliament -corporate complex by accepting cash from global corporations. It is never to early to take America back from global investers. We don't need to be bombarded by a presidential campaign so early after the midterm elections.I think we need time to see how our government is going to perform after the midterms to get a good idea of who would be the best leader for this country. I just hope there are better candidates than the last Presidential campaign and the media will let all the candidates be heard this time around. Even worse than turning over the government back to the Republicans, the extreme, radical right wingnuts have been encouraged. Yesterday means that there will be a monumental push to get Mother Moose elected president in a 2012. The lunatics have been sent to Washington and are giddy on their new sense of power. I’ve already made arraignments to suspend my cable service and I’m having my TV antenna taken down, just in case I get the foolish idea that there will be any important programs being broadcast. I stocked up on DVDs and got out all those old books I never got around to reading, so I’m ready for the wall-to-wall non-stop political coverage. With any luck, we may still have a country left in a couple of years and there might be something worthwhile to watch on TV. Great, all the losers from the last election again...real exciting. Instead of them (Congress, etc.) starting to look towards the 2012 election maybe they should focus on the next year by getting the economy going stronger and getting people back to work now. If the politicians would do their job (the one they were elected for) instead of always being in campain mode then we might actually get something accomplished. I can only dream. Jack, the 2012 Campaign started Jan 21, 2009. Absolutely ready. Can't wait to see how Palin/Romney/Huckabee play their hands. Romney can't campaign against health care reform after his stint in Mass. Huckabee is standing on shifting sand. Obama/Biden (or Hillary) seems unbeatable, but then, so did so many others. It's going to be fodder for the Stewart/Colbert combine and bring a chuckle to the insanity. Jack, this is setting up to be one of the nastiest presidential races in years. Who actually WANTS that? Side note: How is it the Republican Party has not been able to muster up any NEW faces to contend with President Obama? They keep recycling the same old "brand" every election cycle. It's embarrassing and pathetic. Hey Jack, went to church this past Sunday and notice the American flag was torn and tattered, after a few wind storms blew by, kinda reminds me of America, torn and tattered. Cant help but think of that bridge in West Virginia swayin back and forth until it finally collapsed. It's over already for me. Mickey Mouse can be running, and I will vote for him. What started this year, will finish in 2012. After watching so much TV, I can't wait for something to actually happen anymore! To heck with 2012, I want to know who's going to win in 2016! Of course, it's time to start in on the 2012 elections. Unfortunately, if the Republicans can't remove Sarah Palin from the list of contenders – we will not really have a true race for the presidency. Obama would win hands down and nothing we do will mean much of anything. The day after the election, and you are already lining us up for the next one...geesh...why don't you just hammer nine inch nails into my eyes! The path for Obama should be really clear. He still ranks high in polls that ask if you like him personally, and with many people that's all they need to cast a vote. If he comes to the center and starts appearing that he is being cooperative he will attract the independants again. My guess is he tweeks the healthcare bill to appear like he is listening to the people. He'll sign a token republican bill to extend tax cuts and curb spending. But none of it will be enough. We will continue running deficits and ignore the big problems. What remains to be seen is what the Repubs do. Will they call Obama out for his half-hearted efforts or will they be compliant? Will the "Tea Party" Repubs stand by their rhetoric or will they be allow themselves to be rened-in by the Washington establishment? These things will determine if there is a coarse correction of we keep to the path of the road to ruin. The 2012 Presidential election campaign began on 11/5/2008 and it will continue straight through November of 2012. We need laws like they have in England which limit campaigning to the four weeks prior to actual election day. The first glimer of hope I see is that given the results of last night's election the republicans are now going to have to prove that they can do more than just campaign...they have to work and govern..imagine that. "Need a break, Coach!" Please, no more for a while. Let's do something for the country instead of talk, talk, talk, talk, talk . . . .
John Boehner said in his speech on election nite that "For too long Washington has been doing what's good for Washington and not the American People".He went on to say that "we are getting ready to try something that has never been done before by either party" ?? When you talk to him...please ask him what that is ??? Its time for the next Barry Goldwater. His name is Ron Paul and/or Gary Johnson. The libertarian movement is back! This time he will win. Great job ye sheep of the far right. President Obama did not bring about all the problems, they are the result of Republican policies such as trickle down economics, de-regulation of wall street and more investment in war mongering while 1 in 5 children in this country are homeless and hopeless. If the repubs win in 2012, the number of children who are homeless and hopeless will be 4 out of 5. The repubs talk tax cuts, but they don't mean for everyone, just those who already make more money in an hour than I will make in my entire life. If repubs win in 2012 I fear the only people who have health care and sensible prescription prices will be the richest 1%. May God have mercy on our country and may I be wrong about all of the above. Comment: I an very ready for the 2012 campaign. I'm ready to support and enjoy watching Ron Paul (A name you curiously left out of your list of hopefuls) put on a clinic in the debates. Hell no. It's a constant running of campaigns at this point. Conservatives didn't even wait until Obama became president to chastise his policies (of which there were none yet). I can't wait for the employment numbers to go no-where (because tax cuts for the rich don't equate to raise in employment, they go to the pocket or other investments that don't create jobs, i.e. stock market and real estate), and the tax cuts for the rich to simply add to the national debt. Their policies will do the opposite of what they claim. And don't even get me started on the re-newed social conservatism that we'll be sure to see from the political landscape. The tea partiers are the so-con base of the Republican Party, tired of simply getting lip-service (see 6 years of control 2000-2006) and giving a fiscal conservative face to their movement. It's a farce. If it wasn't we would see Ron Paul and Gary Johnson being championed. Instead their heroes are Palin, Beck, and Limbaugh. Jack, I really don't care anymore. As long as these 2 parties remain in power, we will have the same old same old. Same partisan bickering, nasty campaign ads, ugly rhetoric. Time for a third party to come into power and give us a real choice. The ReBLOODlicans and DemoCRIPS get NOTHING done. Meanwhile, hardworking Americans get fooled by the mirage that either party can "fix" the country's problems. Sick of it all. To be honest Jack, I can't talk, or listen to anything that has to do with an election anymore. I just wish they would all get back to work and stop the talk. I would like to see some action. It seems we vote these politician in so they can start working on the next election. This election should be a wake up call to all politicians. The people are now on to the shenanigans that go on within the political arena. Attack ads and outright lies wil not get anyone elected. We want to see your voting record and a history that shows that you will do what you say you will. If not, be prepared to be held accountable in the next election. Now that you have been elected, don't think that we have stopped watching. I wish there was more emphasis on what happens once they get in office than the endless coverage of the race to get there. It is, without any doubt, time to limit campaigns and the amount of money allowed to spend. A limit on time and an established equal amount of dollars MUST be enacted immediately. The American voters, those non-voters do not count, are being duped as the election process now stands. Ads are sickening, expensive, offensive to both candidates and viewers and an insult to the people. Why an insult? Simple. Because those with more money win the elections. Voters really have little to do with who is elected and they, candidates, live the lie while looking us in the eye. The mere thought of listening to Sarah Palin's obnoxious speaking voice for two years along with the other ego maniacal candidates, is just too much to endure. NO I am not. The Republicans better do something this go or they will be out of a job once again. I do not forsee them bringing back the great paying jobs, do you? Hmm what can they do? The drove the bus off the cliff and the people voted them right back in because the Dems had not completed working a mircale. I pray the Dems get their stuff together and lets get moving getting people back to work or a raving loon like Sarah Palin will be screeching orders at us. Jack, emphatically NO! I'm not ready for the 2012 election season to begin. I'm still taking aspirin to get over yesterday's election. I feel like I have "election hangover." But that said, I know the 2012 election cycle will begin in earnest soon and I'll have to pay attention to it. I think President Obama MIGHT have a wonderful opportunity in the next two years, IF he can actually work with a Republican House and a Democratic Senate. I have hope that the Republicans and Democrats will cooperate to help American citizens get through these hard times. If they don't? Well...a pox on both their houses! After listening to Senator Reid yesterday and Obama today, I still don't believe they understand that we don't Social change, we want economic change, but not through more government and higher taxes. Luckily, we only have two more years of this non-sense. Caesar's Palace because they haven't paid their $75 fee? Please NO, Obama cannot start his campaigning yet, the tax payers simply cannot afford it. How much did Obama's campaigning for Democrats this season cost the tax payers? Flying around on a whim isn't cheap. The Republicans started running for 2012 in January 2009. Times up for the olive branch program. Give them an idelogical war and make them pay for every anti middle class program they want to pass. Without doubt I can whole heartedly say: I am not ready for the 2012 elections. I have had the privledge of voting in 5 electoral cycles now and each is worse than the previous. Anger, fear, anxiety, slander, libel – and these are just the campaign adds! I hope we all the voters decide 2012 is the one we sit out and send a real message to those who aspire to be politicians. How can we expect to get anything done with elections every two years? Campaign slogans are already conjured up for 2012 and I am they are being printed as I write this. I think a six year term for a president, with no option for re-election, is something to be strongly considered. Maybe then we can focus on the actual state of the union instead of the political scoreboard. This is a led up to 2012. So another 2 years of doing nothing but still collecting a pay cheque. Just last night I said to my wife; I need to get back to living and stop waching so much CNN. It's a never ending cycle. It's a very critical cycle. The media puts things out there relentlessly. You would think that the Democratic party was destroyed last night based on what is presented on TV. Yet when we look at the history, last night made sense based on what we are all experiencing. I am a registered Democrat and I stand behind the American President. I expect that he will be challenged in 2012 and I expect that those of us who suopported him will show up on that very important day in November to show our appreciation for what he has already accomplished. I really hope that Momma Grizzly shows up also so that we can send her backpackin to Alaska. Those Dem's showed the whole world how good they are on creating new jobs, yesterday they lost nearly 70 jobs in an afternoon, good paying jobs if I may add. That damn Sarah Palin has, without a doubt, been thinking of running for a while now. Most Americans should be scared to death by this notion like I am. This woman is frankly too stupid to lead the greatest country in the world. We saw how George W. Bush's cowboy diplomacy caused the terrorists and foreign enemies to hate us even more, and with Palin's stupid Alaskan frontierman diplomacy, we could be facing attacks from nuclear nations! If she is a true patriot, then she should do whats best for the country and not even think of running for president! Did you just find your way back from a desert island? The 2012 Presidential campaign started two years ago. I'm more than ready for election day 2012 but not nearly ready for the campaigning. I'm a ryda (like they say in the streets) and I will support this President until the wheels fall off. Ready why not. At this point the Republican's do not have any strong candidate to challenge the Democracts. Every time you think they are getting someone that could be a real threat they push them to the side lines in favor of people like Sarah Palin a person that did not serve out to the end of her term to the highest office she was able to get elected to. What is wrong with this message. If elected would she bail out after a year or two to make money and blame her vice president for mistakes she made before leaving? I just do not know what the Republican's are thinking and if they are the ones that started the Tea Party a party that will only be able to split the vote more than Nader could of ever thought of doing. We are in for the biggest bunch of bunk in the 2012 elections and in the end the change everyone wants will be blowing in the wind and none of it will be solid. As a "turncoat" this midterm election I am excited about moving forward. It doesn't take long to see a politician's true colors. Yesterday the american people hammered the President and his left wing. They enacted sweeping big government laws and policy and continue to drive us deeper in the debt to China. This had absolutely no impact in creating "permanent jobs" and restoring confidence. We do not have a Captain at the helm. Our ship is rudderless. You know what they down in Arkansas Jack, "a blind hog get an acorn every once in a while". Well a blind hog has already got a lot of acorns in the last two years. Now the acorns are stored, sealed and locked away. No one will forget that hog in 2012 no matter what happens. Sarah Palin can see Russia from her kitchen window and she can see her 2012 G.O.P. rivals in the rear view mirror of her car as she leaves them in the dust. I have never been so happy to NOT be an American as I am today. To expect that Obama can fix an economic devastation in TWO years when Bush and cie had 8 years to destroy it is utterly ridiculous. It's amazing the power of brainwashing going on by the mightiest and wealthiest on the poor uneducated. Bash this Canadian all you want. Tonight, I go to bed with a good job, free if not perfect health care, 5 weeks vacation a year and a respect for my fellow Canadians (i.e. higher taxes but it works...). The Republicans have sold the American Dream. 99% of you will not reach it. Good luck with all that. In the meantime, COMMUNIST China (even WORSE that ... ouuuuhhh.. "socialism") has a red hot economy and will change the balance of power in the world. Some would say they already have. The U.S.A. under a Democratic base is respected in the world. People who invent and have ideas should be rewarded. But anyone making a million a year or more can afford to pay 60% tax to help others and infrastructure and still be rich. But, I'm sure you super smart Americans will continue your 1950s rhetoric. Astounding. VOTE IN Sarah Palin !!! I beg of you!! That would be the BEST! Comedy like never before. The Dow – 12,400 or higher. Home prices – at a minimum stable. If folks have jobs and money it's all good. Like Randy Newman said in 1988 – It's money that matters in the USA. Everything else is noise. The telemarketers that harrass me were getting upset because they couldn't get through to me because of all the political robo-calls! If this past election cycle revealed anything, it was that us Americans don't mind drawing up critical legislation with mud on our cloths. 2012 is the year the Mayan calnder runs out. Hope thats not a bad sign for the next election. When I hear people like Rand Paul and Sarah Palin say they want to "take back America", it sounds as if they believe that non-WASP people like me do not count as real Americans. So, you betcha! Official campaigns for federal office need to be limited to 6-8 weeks before the election. . and by law! Every other Democracy limits campaigns. Limitless campaigns are a major distraction from getting anything done for the American people. The New House will have 8-10 months to perform( this I have to see); if not, it will be ugly for the GOP. They have been given just enough rope to finish the "NEW" GOP off. 2012 will be another Democratic landslide and I fear the GOP will never be able to recover.They have not given any indication this last 18 months that they have got a "job producing agenda". Most of Corp America's income is coming from off-shore....so tax cuts are really not very relevent nor enough reason to move back and re-hire expensive USA Labor. Small business cannot grow or hire if the unemployment stays at 8 million folks and no jobs that are returning. You cannot grow unless there is a demand. The prez missed the boat on this election. Instead of getting out there trumpeting the things he`s accomplished, and there are quite a few, he gave control of the campaign to the Republicans, who wisely never gave it up . To me, this means that the Prez has to re-establish contact with the people. His advisors, who are probably as removed from `We the people` as he is, cannot advise him properly about what the real people need and expect. Unless he can re establish that contact, he and the Democrats are gone for 2012. That is conditional, of course, to the Republicans being able to get something done, a not so evident a proposition. Right now, the American public is shell shocked from all of the political advertising. The media and the politicians need to give us a break and just keep quiet about political candidates until at least Spring 2012. That would be the humane thing to do. A bit of a break would be nice. My prediction is that when it does start again in earnest we will see and hear the same crap we have for the last few months, it will be like listening to a scratched record, skip, skip, skip. Jack, its two years. You're jumping the gun. Chill huh? I think the republicans are in the hotseat now and will not do anything.Remember the "Pledge to america" promises where the Republicans said the Economy won't be fixed til 2017.My plan is to stop buying starting today.I hope the democrats follow the republicans by using the Filibuster to the hilt like they did. I've already started planning my move to Canada. Enough of this corporate run circus we call politics. No, let's worry about tomorrow. Get out our score books and track the hits, runs, and errors of the new Congress. Let's see if there is a move a foot to move back to cooperation rather than confrontation. Being the eternal pessimist – I expect not, Only now I expect the Democrats will take on the role of the "Party of No". The Republicans are in a perfect position to stop the Democrats from accomplishing anything constructive so they'll be able to claim Obama did nothing to fix the mess the Republicans themselves made. Obama tried for the first 18 months to work with the Republicans and we see how well that worked, they held their breath until they got their way. Now in his speech earlier today he tried the same failed approach of trying to work with the very people that want to discredit him. In 2012 we'll get a Republican President and Congress and they'll finish the job of ruining the country they started with Bush. They'll deregulate corporations and cut taxes for the rich. Time to throw away your wallets and get wheel barrows to carry our money in since the dollar will soon be worthless. We'll all be millionaires but it'll take a wheel barrow full of dollars to buy a Big Mac. Since the Repub primaries will be wide open, why not have them run Sarah Palin as President with Roxanne Barr as Vice President candidates? That would shake things up. One of the big reasons that there is nothing ever accomplished in Washington. The worthless jerks we elect seek out the big spending lobbyist to get in line for money to help fund their next election bid. We the average american voter just get the shaft and members of congress make sure the big spenders get what they want which usually cost the middle class. We should start now planning on which of the liars and thieves need to be thrown out of office. Hillary Clinton will be the next Democrat presidential nominee in 2012. Obama can't possibly win. The Democrats are already using the spin, that it's the economy.They are using the economy as an excuse because they can blame it on the Republicans. I already heard one liberal Congressmen today say , "the republicans are in control and they have to show results." What a spin. The real problem with Obama and the Democrats is not just the economy, it's the shove it down your throat attitude. Starting with health care, jobs going over seas, taxes expiring end of year,etc. The Democrats don't like to admit that they're wrong. They never got the message when Scott Brown won in Massachusetts. It's going to be a long 2 years. Some thinking people have done the same as the 2012 Presidential hopefulls. Despite the whiners who comment here, some of us are already looking ahead to see what can be done to retire the lifetime politicians and return our country to it's basic values! the winners of yesterdays election need to be aware that if they fail in their responsibility and promises, they will be the next ones put out to pasture! don't be surprised to see Clinton as the party favorite–I mean Bill not Hillary. She is too tangled with Obama at this point and Bill has spent an awful lot of time on the campaign trail. It wouldn't even surprise me to see him run by mandate with NO challenger if Obama doesn't ditch his Obamanomics. Only fools will ask the Democrats to fix in eighteen months, what the Republicans destroyed in eight years. Having said that, Obama now knows who real Americans are; non-critical thinkers. Thanks to the republican, we are on our way to another ten years of real economic mess AGAIN. Where were they under the Bush Administration ? Please! Please! Please! Are we gonna have the talk about politics for the next about 2years. The media needs to stop asking these type of questions and let these elected officials do their job. In my opinion, I think the media is the fuel for the bipartisan in Washington. We should all be happy as Americans about last nights election. No one party should ever control the 3 branches of Government. The electioneering never stops, Jack. It would be a lot simpler to just have the Chamber of Commerce appoint their representatives and deposit all their cash in the Treasury. US, please. No yen or rubles. The American people need to unite and take control over our election process. We should demand there be a acceptable time limit to time spent on campaigning, demand a cap on monies spent and non partisian organizations making fact checks and exposing every lie published. willing to recognize reality. Beyond that, he had better delete the word CHANGE from his venacular in the future. It has an aroma to it. I don't believe that any of the Republicans you mention as possible nominees are strong enough to beat President Obama, even with a terrible economy. Plus, the fact that the Republicans will now be forced to actually do something other than stand around and "just say no" may work to President Obama's benefit if he handles it correctly. we have had enough lip service for the past 2 years,now let's see something get done.If you don't then don't bother unpacking because you have 2 years to put up or shut up. can we have a class action lawsuit against both parties for damage to the remote controls and sometimes t.v? I think my mute button is broke. Give us a year break before more political ads. The mudslinging here in Vegas was out of control. I am so exicited to see Sarah Palin and Christine O'Donnell run and win, that I can hardly contain myself. They would be the "brightest" thing that could ever happen to Washington and the American people. Yet another reason to thank GOD I don't watch TV. How annoying that must be, and how disgusting it must be, even to Republicans, to see how much money these corporations are paying to underwrite the endless barrage of hate-mercials. We can blame the next few years of unending assault by political ads on the Supreme Court. Why set your sites so short-term? I am looking forward to Stewart and Colbert launching their 2016 campaign in the near future. This is just like the TV show "Lost." Nothing every happens but people are still excited for the next episode. President Obama has my vote for 2012. President Obama has accomplished alot for a county headed for another Greate Deression. The majority of people that didn't vote for him are still not for him and the ones that did still are. Don't believe the hype. Even more young people that couldn't vote in 2008 have been registered and will vote for President Obama in 2012. The Republican party is exactly what is is called (GOP Grand Ol Party). All these old Tea party guys will probably be in nursing homes in 2012 let alone in their right mind to cast a vote. Let's see if these Republicans actually get moving on the Economy or try to stall out everything and protect Corporate interest again like they always do. Like being ready for a root canal. Not only am I not ready for the 2012 presidential campaign to start, I find it a disgusting waste of money & an impediment to meaningful government activity. Most of these candidates are simply raising money, testing their skills at evading serious questions & determining the wind direction of the voters. Yes I am ready to start 2012. We Progressives need a candidate to challenge Obama. I would like Ed Randall to run. Is this what is known as a "Reality Show" ?? After last nights debacle, I think you might want to ask the man in the Whitehouse this question? Not ready for the next election. Peace and quiet please! And for goodness sake, could we please have a law barring any and all politics until 6 months before the election! And then, please bar all nasty ads. They sicken me. Can't wait for 2012! The sooner it comes, the sooner we get rid of Obama and his incompetence, arrogance, elitism, condescension, uber-partisanship, mean-spiritedness, nastiness, and his uber-elitist and equally incompetent cronies. I'd be happy with Christie, Daniels, or Palin, in that order. It can't come too soon, before these insane liberal/socialist Democrats drive this country to ruin. All that's needed is simple old-fashioned common sense and a cessation of greed! Another 2 years with Obama and there won't be anything left of this Country. Would I like a root canal did you say? I'm not. But you said that President Obama has to perform to be re-elected. No argument there, but you seem to be forgetting that the Republicans that have just "tidal-waved" into control of the House also have to now put-up or shut-up. They've said that they know what's best to get the economy back on track and reduce the deficit. But, If the economy and jobs are still as bad in a year as they are today (which is doubtful, though not through any action by the Republicans), they will be just as much on the chopping block as Obama. not ready at all for the next two years of talking heads predictions and manipulations to get back into power.......if we are talking only about elections and not the actual ways of recovering this country I will not waste my time watching any news! I'm not ready. I can just feel the ads coming around the corner after too many weeks of the mud-slinging midterms. What ever happened to civility in discourse and disagreement. At the end of the day, aren't we all Americans? 2012? At the rate this hate is being peddled I think the asteroid should hit as soon as possible and spare us all the continuation of politics....Is anyone else as put off by the nasty rhetoric as I am? I am not sure I can control myself for more of the same....I am so ready to call God and have him reclaim his failed science experiement.. If Dems and Repubs would take all campaign contributions (and it was a bunch) and apply them to the debt I will vote early and often for both of them. Otherwise I'm bailing out of the car and letting those blood suckers go off the cliff alone. I'm not ready for any of the Presidential lying until at least the second quarter of 2011. I've had enough lies and personal attack adds. My fast forward and mute buttons are getting worn out! I'm very excited considering It will be the first election that I will be able to vote in. I just hope that people will look beyond front-runners like Sarah Palin, Mitt Romney, and Tim Pawlenty, and will listen to the dark horses, who tend to have more substance than the front-runners who appeal to emotion. If people will listen to those like Ron Paul, Gary Johnson, John Bolton, and Herman Cain, America may actually benefit from a political race. Sure,Jack.That will bode well for what the American media is obsessed with-ratings. I watched President Obama's hour-long prime time response to the mid-term election results live on CNN and was very impressed by his candour and grace.He was quietly sad and took responsibility for his party's losses(which I don't believe is entirely his fault) but there was no bitterness in him.Barack Obama is the most decent man elected president in living memory and frankly some americans would do well to realise how fortunate they are to have this guy as president. I am sick of the commercials. I am sick of the fighting in Washington. Iam truly tired of the all consuming push for political power. When will they all concentrate on fixing our problems? I'm totally fired up for 2012 someof these republican elects got it wrong they think america has said enough with the democratic party but thats not what we were saying at all what we were saying is we are tired of the politicains on the hill republican and democrat not listeneing to us we didn't vote democrat or republican we voted for change, democrats just felt it the worst because they had the most to lose people knew what they were doing yesterday and we got our msg across loud and clear do something or you will be gone too!... God Bless America. In a nutshell, Jack– HELL NO! Political campaigning is like holiday merchandising. You can't get through Halloween before you start seeing Christmas stuff, and doesn't Thanksgiving come first? Obamas not going to fix jack he's going to stick to his guns and bicker with the republicans for the next two years its either going to be his way or the highway and he's going to blame blame blame the republicans and talk about George Bush he has learned nothing 2012 can not come soon enough . Oh please don't, PLEASE. We just weathered one of the most expensive and derogatory, slanderous and libelous advertising circuits in American history (which with the last 20 years in mind, is saying a lot) and we just need to sit down and take a load off. There's a lot to be said about the economy not being able to handle it too... if we keep this system of spending going. Just putting it off for another 6 months could save... how many millions? for something actually worth while? No, enough already! Sick of both sides! Anyone that thinks Republicans will get us jobs has a very short memory! They don't give a rat's patoutie about the common man; they care about their big business lobbyists, who take our jobs overseas, and their own wealthy tax breaks! I hope I'm dead before 2012! The election ended less than 24 hours ago and we are already talking about 2012? For once lets forget the political posturing and let our elected officials actually get down to the business of governing. I know that won't happen however, because that is simply too reasonable a request. The parade of sycophants is already warming up for their run at for the presidency. Unfortunatley. If the media does their job and holds the Republican's feet to the fire by asking specific questions, like: "what do you specifically want to cut", how do you plan to "balance the budget", "do you feel Military spending which represents a huge part of the budget, should be cut?" ....I can count on my hands how many times I've heard the media demand specifics from republicans. The media allows republicans to answer with "fluff", yet demand President Obama and other democrats provide them with specific details on the "how". To lead, I would choose a democratic leader, and more specifically President Obama over anyone today because he has answered so many specifics that I know exactly where that man stands and what he wants to do; republicans get away with "we want to take our country back", and "we need smaller government" and "we love freedom", as answers. Why don't the republican rich take the money they would normally pour into a campaign, and give it all to the needy? that might work, otherwise, let the Democratic government, with President Obama, continue clean up the mess of the previous 8yrs of Republicans and the previous 12 years of Republican control of the house. Jack, we skip the election in 2012 and trade it for jobs! I'm so sick of the political talk when I'm sitting at home and cant get work with 2 children and a wife! By the way, I've got 3 degrees! Who cares about 2012 elections, can we get some jobs! "Got Jobs"
These party politicians don't get it. I voted against every incumbent to the opposite party yesterday. This is a people problem. If they can't get along and solve our problems, we need to make them go away. I am not a democrat, I am not a republican, I am an american and I want my country to be what it was between the 50s and 60s, a country that made things here in America by americans and not getting everything from foreign countries cheap slave labor markets. NO!!!! Sick of it! Won't vote for the first one who puts an ad on TV! Jack, Give us a break! Congress needs to get to work and address the issues important to middle class America, jobs,economy etc. If not, I propose next time, a total revamp of congress. If your a member now, You won't be after the elections. We need to focus on getting the U,S, back on top of its game. Yes I'm ready. Bring it on! The sooner the Dems can put this disappointing midterm behind them, the better. President Obama needs more than 4 years to implement real change and we need to give it to them. As far as Republicans go, the new reformed GOP (Grand Obstructionist Party) doesn't stand a chance. We the people need real governing, not gridlock. If the true colors of this new "majority" show as they have been saying, then it's four more years for Mr. Obama. Let's hope Russ Feingold, or Alan Grayson break from the Democrats and run on the Progressive, or Green Party ticket. I feel confident that the GOP will implode within thanks to the Tea Party wanting more control. The other thing I see is that the GOP will muck it up and the Democrats will sweep them out of office in 2012. The GOP gets too big for their britches and their egos not to mention their thinking we all are filthy rich like them will see them do little in control. The Democrats got more done in 2 years then they did in 8 years of holding the White House. They did little when they were in control of both houses but Americans get damnesia and they forget that the GOP is the party of no change while the Democrats are all about change. I was greatly disappointed in my fellow Democrats as a gay American that they would silence us with such a backstabbing to go back to the old way of denying me the rights I deserve. I am seriously thinking that if things don't change I might have to toss myself in the ring to run for office. As an Iowan, with our first in the nation to vote status, I'm far from ready for 2012 campaigns to start. Were already seeing certain politicians show up frequently, especially certain republicans, and in April, President Obama was in my city for a "town hall meeting". I'm tired of this Jack, and its just going to get worse! Theres a point, usually when every other TV commercial and phone call are about the election, that I get discouraged from voting for any politician! Give us a chance to breathe for a few minutes before we start this again. I'm not ready for a revolution in 2012 or ever. What I've seen in this past election gives me no hope that civility will prevail during the 2012 election. I think it will look like "Americans Gone Wild". No Jack No....I am still tired from the commericals that just stopped airing......Can we get a break already?????????? Why not, Jack. After all MANY stores had their Christmas stuff on the shelves in early October. The real question should be, not are we ready for the next presidential campaign, but when exactly do the elected officials plan to do some WORK! When will we start demanding that those elected to office do something during their tenure, and that the something not be constant campaigning! Come on, America, wake up and demand more bang for OUR buck!!!! Jack I'm afraid the election was a step backwards for this Nation. I'm not a Democrat but in light of the Supreme Court Decision allowing Corporations and other Entities to give unlimited money to a campaign I was hoping they would fair better. Until the hard working American wakes up and realizes that it is a class war and the rich declared it they will continue to vote for policies that are not in their best interests. I see dark days ahead in America and it's not the President's fault. This is what gets my goat. It takes a while to screw things up, especially as bad as they are currently screwed up. So it's going to take a while to fix them (like the last two years). So now that things are turning around, BASED on the LAST two years, the Republicans are going to start to take credit for it as progresses (as we can only hope). Nothing what so ever to do with anything that they have done.. besides say NO. So we will contiue this vicious cycle on and on. ARGH. In one word, NO i'm not looking forward to 2012. I'd like to watch football and celebrity gossip and not worry about this any more. I'm betting that the big corporations will "mysteriously" start hiring and improve the jobs situation in the next two years, just to make the repubs look like they are succeeding. I'm sure that they have been withholding those jobs during the last two years. I pay close attention to the damage these clowns do every single day, so whatever they say during a campaign is as meaninless as teats on a bull. I tune out the entire sham. Having said that I anticipate this new crop will continue the destruction of the middle class. Now that the entire US government is legally up for sale, this election cost corporations 300 million bucks to purchase the House. Chump change for pharma, bankers, and oil companies. I imagine the purchase of the Oval Office will be a lot higher. So from now on, whenever I hear "the people have spoken" I know who they mean and it isn't the average American just looking for a fair shake. I am ready for the Presidential Election to start. In fact I am going to beging a write in Campaign and use my Facebook page to spread the word. As my name is difficult to pronoiunce and write I will have to educate people on the proper writiing of it. Wish me luck. The Governor of Florida spent about $28 per vote, I expect to spend less that one tenth of a cent per vote. We voters are ready. We cstamped our feet and opted for gridlock. Now we will hold are breath until the next election or till we turn blue, whichever comes first. Lets just see what the Republicans and their Tea Bag jokers do for Americans and America in the next two years and not their Corporate sponsors before we get too excited about the next batch we elect. The whole Washington crowd are pathetic wretches just like the people that voted them in and I doubt we will vote them all out at the same time. They should spend the next 2 years fixing the economy. I have been unemployed for over 36 months, not gathering votes! That is not why we vote to put all those 'let's get rich' gov. leaders and then bail out. It should be noted that if they don't, we will have a repeat of yesterday, and we DON"T have to wait until 2012 before we do something. Remember Nixon! Let's stop this nonsense. How about working the 2010 agenda – the economy and jobs. Why don't we finish that first. The other thing is Mitch McConnell wants to appeal health care and get Obama out of office as his first priority. Didn't they just get elected to fix the economy first? I was afraid of this, these Republican politicians will now spin cycles that get us nowhere. My expectation is this party now needs to produce 22M jobs in the next 6 months. After all, they have a plan don't they? Bottom line is they need to deliver or be ousted also – period! Gee, thanks Jack–just when I'm enjoying your show for the first time iwithout political ads in what seems like an eternity, you have to remind me about 2012. In the three days leading up to yesterdays election, I recieved eight robocalls–three from Obama, two from Gov. Ted Strickland, one from Bill Clinton, and two from the state Democratic party (as you might guess, I'm a regestered Democrat–I don't want to thik about what the Independents were getting), but here's the thing–I voted absentee almost a month ago. I've basically spent the time since screaming "I've already made up my mind, leave me alone!!". Yeah Jack, thanks for the reminder–how quick time flies. Have so many people forgotton what the republicans did during their reign. Under Bush and the GOP we had a negative job growth among the private sector. Under Obama and the Democrates we have a positive, maybe small, but a positive job growth among the private sector. For two years now the GOP sat and collected a pay check for doing nothing but obstruct any possible good for the country. Well guess what, now that they have the House, they may have to report to work and come up with something and work with the President to move the country forward. If they, the GOP continue to obstruct, hopefully, enough citizens will finally notice that the GOP is useless, Anti-American and for the party interest only and not for the interest of all Americans. The possible contenders for 2012 according to your account leave a lot to be desired. I am hoping that someone with practical experience, authentic values, common sense, and a vision of America for Americans will rise up to inspire us, lead us, listen to us, and mentor us through what is sure to be rough social, spiritual, and economic times as we disengage from corporate excess, celebrity leadership, an offshore labor force, and dysfunctional entanglements rather than a true global economy. 2012? Why should we be worrying about 2012 when people are losing their homes/jobs in 2010. What i don't understand is when getting elected became a politicians sole goal. When did working on the problems of the day become more than just a hammer to gain votes? You are elected to WORK for your constituency not your PAC fund. I'm a Latino Democrat, and to be honest, we all know what is out come for 2012, Obama and his administration had take a big slap across the face after last night. Obama has to start campaigning tomorrow if he wants a chance to get re-elected, by the way the latino voters are gonna to be paying closely attention to Obama's every move from now till November of 2012, Latino voters like me could be voting republican just the get him out of the white house. He can loose and loose big among Latino voters in 2012. Each election proves only how increasingly uneducated and stupid the average American is becoming. Don't like an economy broken by excessive, republican-inspired military spending and insane foreign wars? Well, then vote for whom? Republicans, of course. That'll show 'em. Mad that America is losing its competitive edge in business, engineering, science, and just about every endeavor that matters? Well, then vote against education – sure – that makes sense – make sure that American kids will never get a chance to compete. Americans deserve all that will befall them. Oh puhleeeez, give us a few months off, at least!! Yes, bring it on! Now that the GOP have the House but still refuse to cooperate with Obama, they share in the responsibility of governance too, and soon they will have to show their hand to the American people. Boehner and McConnell have just assured their own GOP loses in 2012 and Obama's re-election. I couldn't agree more with Brian and Matt. If Ron Paul decides to run again, I'll volunteer and do everything I can to help his campaign. On November 5th, I'll be out enthusiastically waving a Ron Paul 2012 sign with a few thousand other people across the country. My entire family is praying he'll run again–as a third party candidate if need be. I'm a Republican, but the Republican party can go to hell for all I care, if it nominates someone like Romney or Palin. Please, let's take about a year off before we get wall to wall coverage of pundit speculation about 2012. The media needs to remember that political races are only a piece of what's going on. Let's spend some time working on the actual issues that affect us versus the circus surrounding the elections of the people who are meant to solve our problems. Sarah Palin.................a PERFECT candidate !!! Plain, simple, ZERO elite, snobbish know it all attitude; able to connect to average Americans, not the phony elite ivy league crowd bent on re-inventing America with no real world experience of running anything except their mouths. Jack, Yesterday proved America is on a free fall to destruction. I'll be waiting for that next best seller: "America Falls! How Ignorance killed an Empire." Oh 2012 will be the best political theater. Just imagine Sarah Palin running never ads against Newt. Get the popcorn and drinks .. I'll be laughing all day. Another thing America is not #1 .. other than being the largest consumer economy and military power.. we don't rank very well in health, education , science and math.. shall I go on.. were not even close to the top on best places to live in the world. Guess which countries rank the highest... ding ding ding.. that's right SOCIALIST COUNTRIES.. with free healthcare, free education..etc .. humm.. and most of those countries have already recovered from the global recession. If the economy doesn't turn around, if our Washington idiots can't get this fixed–fire them all and send them back where they came from. Thankfully I won't be living in this country by that time!! I'll have to listen to it, watch it and deal with it until then, but when I'm gone, I'm gone! America can have it! I can vote from the Embassy, but unless it's a Kucinich/Paul or Paul/Kucinich ticket, I'm not even bothering! They're the only two that have the guts to do anything progressive! When I went to the Rally to Restore Sanity and/or Fear, I had a sign that said "Fear a never-ending campaign season". I hope we get at *least* a 6 month break from this–12 months would be bliss! Ever since President Obama was elected it was game on for 2012. Let's face it, as great as this country is and the examples that it sets, it wasn't ready for for a black president. That is the jest of it. Sad thing is that when one points it out not to mention the Joe Wilson moment last year, they deny it loudly which only further proves my point. This country needs to grow up. But it won't. 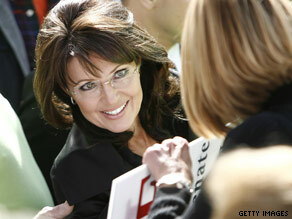 With Palin running, the GOP is almost guaranteeing Obama's re-election. And why not, Clinton was re-elected, and we had close ten years of Republican controlled corruption. The presidency in 2012 is a small trade-off for long term control that gets you a rubber stamp Republican president. Good job GOP, way to exploit the stupidity of the middle class and poor. As much as I want President Obama out of office, I am really not ready for the campaigns to start. They should hold off until 2011. And for the love of God someone tell Sarah Palin to stay home! They need to start. You know the campaigner and chief is already raising $$. Noticed today he was "real sad" about all the sacrificial lambs to his unhinged agenda. the country back from the rest of Americans, while drinking tea. Now Obama may,CHANGE, else voters will change him during 2012. Obama is like a tiger who climbed the tree and do not know how to come down. If his expertise help him in a soft landing, even after two years, he may make it in 2012.
when the economy starts to turn around (which it already is showing signs of people just need to be patient) watch for the 112th Republican run Congress to take full credit during the 2012 campaign. Just remember folks they will have voted on nothing that helped stimulate and stabilize the turn around that is starting to happen as we speak. 2012!, someone please pass the aspirin! Please don't do this to us. We've just sat through twelve months of "midterm" coverage. If I have to sit through two years of 2012 coverage I'm not going to make it.